When there’s a gym on every corner, how do you stand out? The YMCA of Greater Louisville offers unparalleled fitness facilities, wellness programs, community outreach and more. The Y is so much more than a gym, but it was still a challenge to differentiate themselves in an oversaturated Louisville market. Through cutting-edge tactics, we were able to help them break through the clutter to attract and retain members. 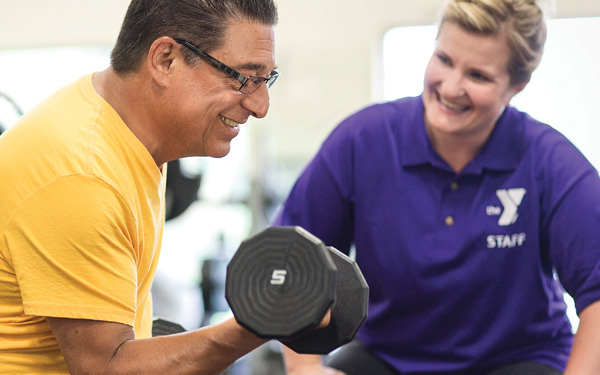 Traditionally, the Y runs two very effective promotional periods each year, fueled by mass-media advertising. We helped them identify an opportunity to deploy an “always on” advertising strategy to promote membership year round. We deployed a highly targetable and scalable social media, PPC and digital display advertising campaign. With these tactics, we were able to capture email addresses for re-marketing and reach a relevant audience at a key moment in their path to purchase. Each generated lead was nurtured through an email campaign that struck a balance between valuable content from Wellness Experts and messaging centered on joining the Y. Results to date are encouraging with click-through, sign-ups, open rates and conversions out-pacing fitness industry averages. This “always on” inbound marketing program allows the Y to attract consumers at the point of consideration and build a relationship not based on price, but on trust.